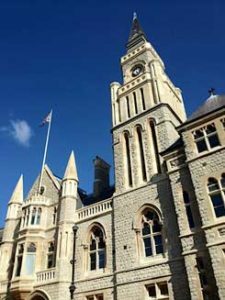 The Council has plans to dispose of Ealing Town Hall to a hotel operator called Mastcraft. It would retain the east end of the building, including the Council Chamber, for civic purposes. Part of the sale would include the Victoria and Princes Halls and other ancillary rooms which were originally built in the 1880s by public subscription to commemorate Queen Victoria’s Golden Jubilee. A charitable trust was set up to manage the halls and their public hire for meetings and social events. The Trust was due to be operated separately from the Council and any surpluses were to be distributed to local charities. The original trustees were members of the Ealing Local Board and in time their duties were passed to the members of the Council and the operation and maintenance of the property became merged with the rest of the Council’s operations. Although the Council claimed that the halls are not financially viable if they were managed as originally envisaged under the Trust they could well be. The wording of the consultation is misleading because it does not fully explain the original terms of the Trust and makes no reference to the deal to dispose of its holdings. The Council does not appear to have properly taken into account the significance of the obligations of the Trust when deciding to dispose of the Victoria and Princes Halls. We consider that the Hall should not be sold off to a developer but instead be retained for community use at reasonable prices. The consultation now ends on 9 February 2018. We urge you to respond by emailing the Charity Commission at cscorres1@CharityCommission.gsi.gov.uk referring to the Victoria Hall Trust, Ealing – NM C-462805 in the title line. Please copy your response to MooreD@Ealing.gov.uk at Ealing Council.